A variety of outdoor recreation programs are offered to help you become a more experienced individual in the outdoors. Recreational programs can be scheduled for your group or you may attend one of the already scheduled events. The events schedule can be found by visiting our Events page, Facebook, or Eventbrite. Individuals and families are welcome to join one of our scheduled programs. 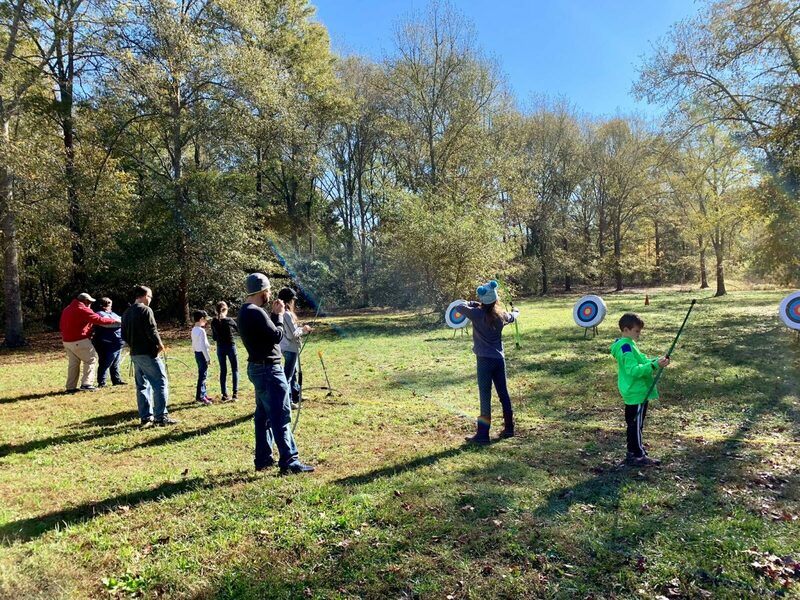 Programs range from birdhouse building to archery. We provide all the needed equipment so dress for the weather, bring a water bottle and join us for an outdoor experience. To cover the cost of equipment, staffing, and supplies, please see below for program prices and register through the Eventbrite link for scheduled programs. If you are interested in scheduling a program for your group, please email nick@sctlandtrust.org. Join us and learn archery basics. We have a variety of bows to serve a range of participants. No matter your size or strength we have a bow that will work for you. Participants need to be at least 6 years of age. 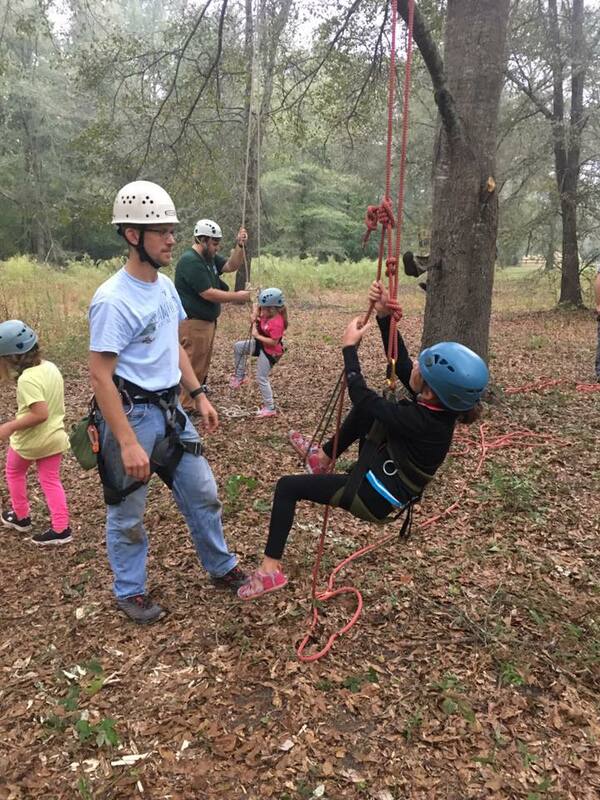 Interested in camping, tree climbing, rock climbing, or boating? Knowing your knots is a great place to start. Join SCT staff and learn knot basics and what knots to use for certain tasks. Materials will be provided and participants will get hands on experience tying knots. Want to create a home for the bluebirds that visit your yard? Let the Southern Conservation Trust provide the materials, tools and know how. Participants will leave the program with a bluebird house. Bats eat mosquitoes and other pests while serving as efficient pollinators! Why not create a home for them at your house. Materials, tools, and instruction is provided. Want to fish but don’t have a pole? Let the Southern Conservation Trust provide one. 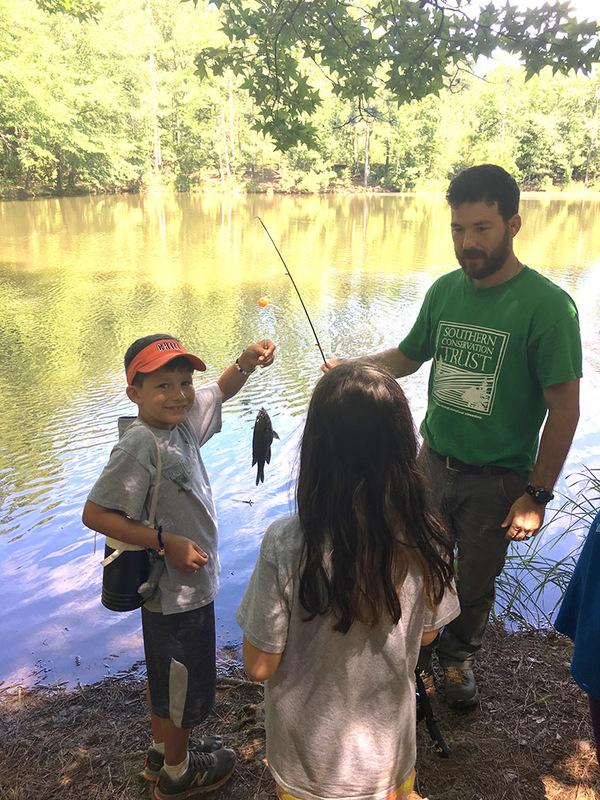 Join us in a group fishing experience learning the basics and about what types of fish call the Piedmont home. Want to introduce your group to Leave No Trace Principles? Let the SCT staff teach your group the basics. This program is less intensive than the facilitator training. Southern Conservation Trust Parks are closed from dusk to dawn but an exception is made for these night hikes. Hikes are led by SCT staff and the group will discuss what nocturnal animals may be found. Have a future trip in mind and want to try backpacking out? Let the Southern Conservation Trust teach you the basics. The group will carry all their own gear, cook using backpacking stoves, and stay overnight in the woods. Participants are responsible for providing their own food, tent, sleeping bag, and backpack. Detailed supplies and equipment list will be provided.